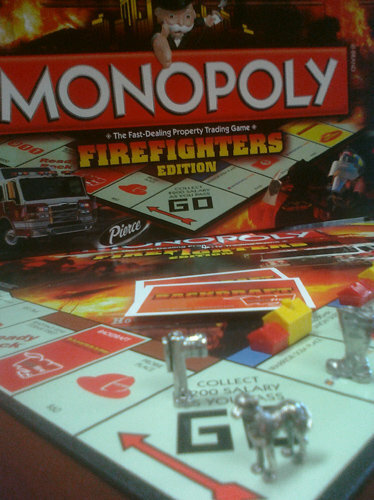 Firefighters Monopoly Limited Edition Board Game GREAT GIFT! GONE WHEN GONE! 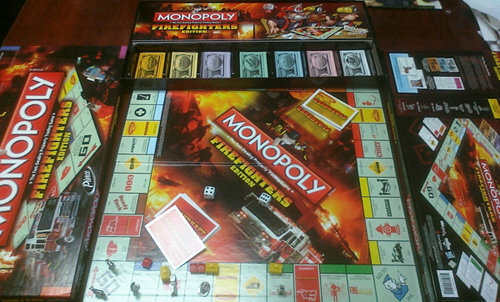 Firefighters Monopoly is so fun! It is truly a family or station event. Get your whole family involved. We have taken this classic board game that we all know and love and turned it into a perfect gift for any firefighter or family member. Playing secret Santa at the firehouse? Get this gift and any firefighter would love it! 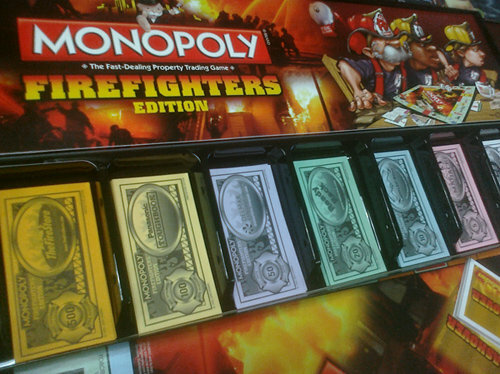 It's a five-alarm emergency on the special Firefighters Edition of Monopoly, honoring the men and women of the fire and rescue service worldwide. 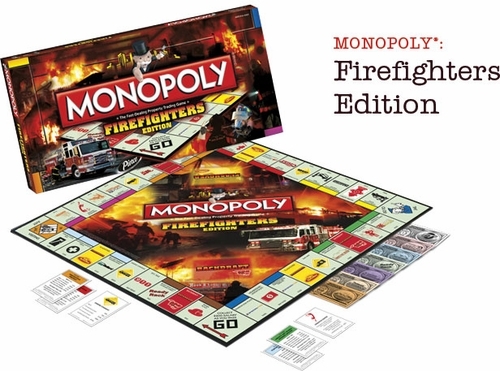 As you buy, sell and trade your favorite properties, you'll need to summon all of your fire and rescue skills to take command of the firehouses an headquarters on the board. If you succeed, not only will lives be saved and heroism rewarded, but you'll get an instant promotion to Fire Chief... until the next game anyway! Designed for firefighters -- and their friends, family and fans, take a roll of the dice to round Probie Place and head for Firefighting Freeway. 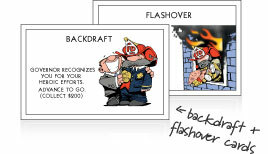 Be careful not to make your station buddies sick with your cooking when you pick up a Flashover or Backdraft card. 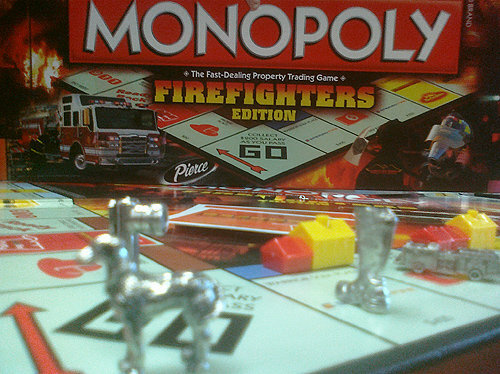 And, just remember...going to Jail is just like getting called into the Chief's Office, so watch out and stay safe as you enjoy this special Firefighters Edition of the world's most popular board game, MONOPOLY.